Catalogue No : 193 to 206. JUMP TO ITEM PHOTOS. Year : 1960. Queen Elizabeth II short set to 10sh with extra ½d shade mint.Light bend on 5sh and on 10sh. Very lightly mounted mint. Condition : Very Lightly Mounted Mint. With faults -corner crease on ½d (2nd stamp), perf tone spots on 1d (top row, 3rd stamp), top crease on 1d (2nd row, 1st stamp), one missing base perf on 1d (2nd row, 2nd stamp), perf tone spots on 2d and small top corner crease and corner surface scrape on 6d. Lightly mounted mint. Year : 1954. JUMP TO ITEM PHOTOS. Condition : Lightly Mounted Mint. Direct communication is always the best way to fix an issue. AND ALL POLICIES. If there is a fault we will describe it. Check back often for new material. We appreciate your cooperation with this. 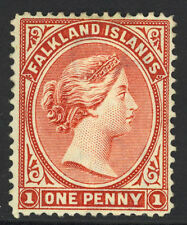 No: 63100 - FALKLAND ISLANDS (1944) - OLD CPL SET w. OP. "SOUTH GEORGIA" - MH! An old & interesting lot, in a good quality. Quality as on scan! to "unsafe" countries. Selection of King George VI and Queen Elizabeth II Falkland Islands mint. Includes KGVI Coronation set, Victory 1d, 3d, 75th Anniversary of UPU set, QEII Coronation 1d, 1955 short set to 6d, Freedom from Hunger 1sh and others. Year : 1946 - 1949. King George VI thick map set of 8 mint and thin map part set to 9d mint with extra 2½d used. Withtop corner surface stain on thick map 4d (2nd row). Lightly mounted to mounted mint with hinge remnants. SEE HIGH RES SCAN. Grouping of older material may have occasional minor thin or fault. Direct communication is always the best way to fix an issue. AND ALL POLICIES. If there is a fault we will describe it. Selection of King George V to 6d mint. Mounted mint. Year : 1912 - 1928. Reign : King George V. Catalogue No : 61 to 78. Condition : Mounted Mint. King George V Fin Whale and Gentoo Penguins part set to 6d mint.Hinge thin on 2d and one missing side perf on 2½d. Mounted mint. Year : 1929. JUMP TO ITEM PHOTOS. Condition : Mounted Mint. 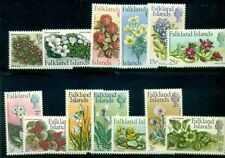 No: 63099 - FALKLAND ISLANDS (1944) - OLD CPL SET w. OP. "GRAHAM LAND" - MH! An old & interesting lot, in a good quality. Quality as on scan! by unknown reasons, appear now and then! to "unsafe" countries. 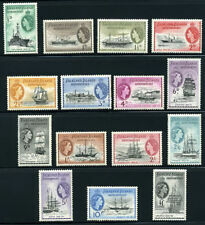 King George VI Falkland Islands Dependencies South Orkneys overprint set of 8 with extra ½d blocks mint. Withhinge creasing on all 8 single values. Lightly toned gum. Mounted mint with hinge remnants. 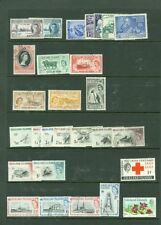 King George VI Falkland Islands Dependencies Graham Land overprint ½d blocks, ½d and 1sh mint and South Shetlands ½d block, ½d x 2 and 1d mint. Withlightly toned gum on all values. Mounted mint. Year : 1944. 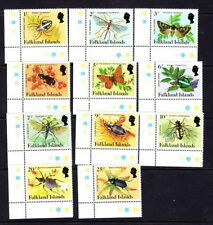 The 1sh fairly heavily mounted, others mounted mint. Year : 1921 - 1928. JUMP TO ITEM PHOTOS. Reign : King George V. Condition : Mounted Mint to Heavily Mounted Mint.